Taking a look at the opening bars of Shostakovichs' Symphony 5th and Beethovens' 7th symphony 4th movement (bar 136 onwards) see below they sound kind of similar. Somebody suggested (Radio 3 I think) Shostakovich did this intentionally, but I cannot find anything to support this. What is the truth of it and has there been any books, references ect that make the connection anywhere? Who is the "somebody" who suggested the connection? The rhythmic emphasis is different - the Shostakovitch has a phrase with long notes starting on the beat, with a 32nd note just before the next strong beat. The Beethoven has the motion closer to the start of the phrase. The Shostakovitch has canonical string entries - it's the same line with staggered entries. The Beethoven doesn't do that - the string entries aren't canonical. They're harmonically different - the Shostakovitch is deliberately unsettling - you can't say for certain you're in a particular key. But the Beethoven sounds like one-chord-per bar - a completely different effect. 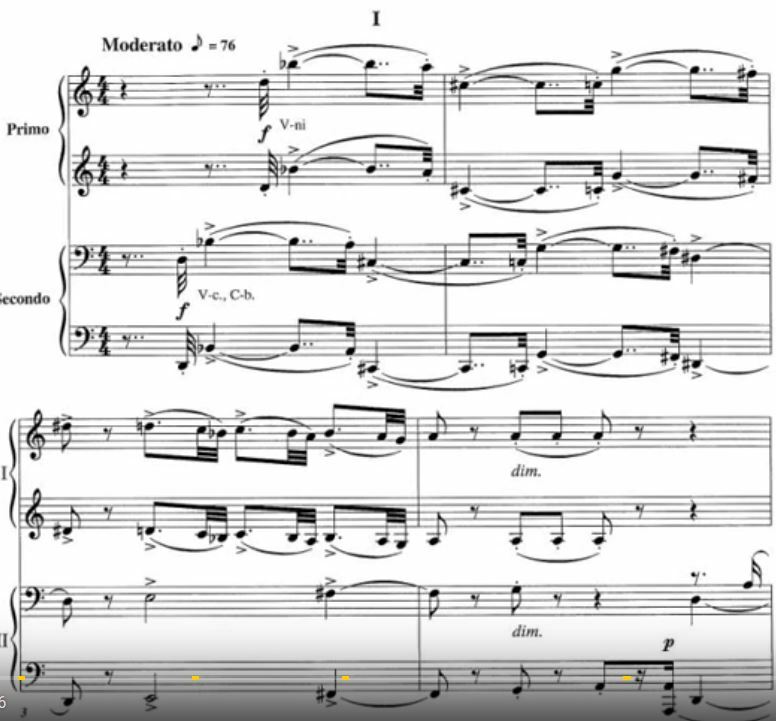 The Beethoven passage looks like the preparation for a key change, so it's context is different - it's intended as a connecting passage rather than as a presentation of new material. In the Shostakovitch, it's the opening of the movement, so it's definitely not just a "transition passage". And finally the Shostakovitch sounds savage - again, completely different to the Beethoven. The only justification I can see for drawing a comparison between the two is that they both feature high and low strings in a "conversational" passage. Apart from that, I just don't see it. I don't believe that Shostakovich was thinking of Beethoven here. Of course he knew the 7th Symphony. If you want to find an other similarity to Beethoven's 7th there is one in the accompaniment at 13:45, but this would be very, very searched. (1:58) I think it's important to know that by the time we're here in 1937, composers were much freer about form. So, where Beethoven or Schuman pretty muchworked in the first movement in what we call sonata form where you have the exposition where all the material is exposed, the development, all that material is developed, and the recapitulation, where all that material is reprised; a composer like Shostakovich, yes, they did some of that, and sometimes they did it absolutely in an old fashioned way. Other times, it was very free form. This symphony's first movement, even though it feels very organic, it feels like it belongs the way it's written, is very much in the style of being free form. It begins in an interesting way. (3:07) It's an introduction, but it's an aggressive introduction, and it's a canon. It starts with the cellos and the basses. They play this [gentle instrumental music], and then the violins play [gentle instrumental music], and then the cellos and basses [gentle instrumental music], and the violins [gentle instrumental music]. And then that canonic gesture carries on now. Not the answer you're looking for? Browse other questions tagged theory harmony history analysis musicology or ask your own question. Is there any real difference between Counterpoint and Polyphony? Is there any evidence that JS Bach, A Vivaldi and J Handel had perfect pitch?